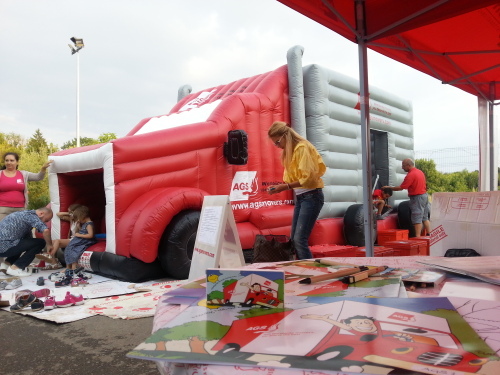 AGS Bucharest’s unique bouncing castle in the form of an AGS truck has proven a real hit for children wherever it is erected. AGS Movers Bucharest’s unique bouncing castle in the form of an AGS truck has proven a real hit for children wherever it is erected. No doubt it has also had happy repeat visitors because AGS Bucharest is active: the truck has been on display five times in recent months! In June, AGS Movers Bucharest was present at the Year End party for the French High School in Bucharest, and in July the bouncy truck was erected at the AmCham’s party to celebrate the US Independence Day. 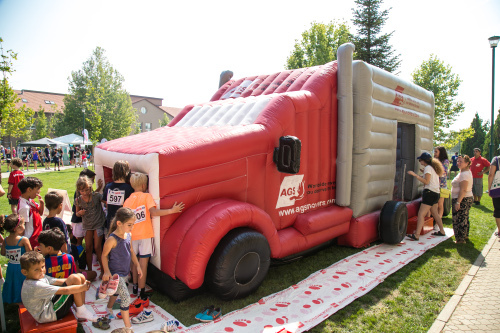 Next up at the start of September the truck thrilled children at the first ‘Embassies Festival’ in Bucharest (where AGS was a logistics partner and exhibitor), and was also a highlight at the American International School of Bucharest’s annual charitable event, the Terry Fox Run. 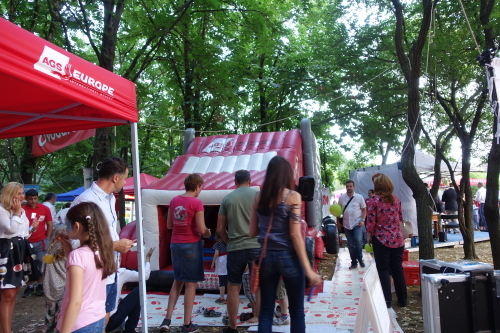 In October, the team and truck attended the first Expat Fair in Bucharest.